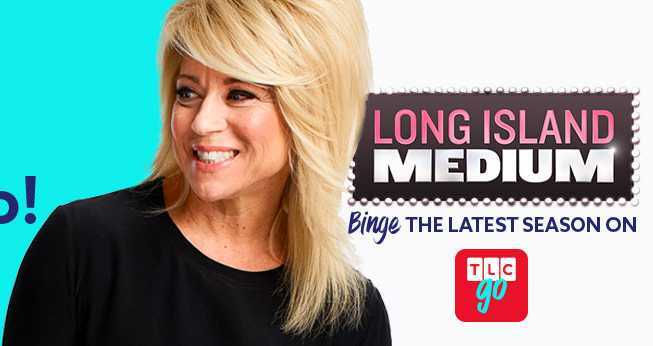 Enter the TLC Long Island Medium Sweepstakes now through December 31, 2018 for your chance to win a free reading with the Theresa Caputo in New York City. How To Enter: You must watch an episode from the most recent season of Long Island Medium on TLC GO or TLC.com for secret code word that will appear at the end of the episode. Once you know the code word now go to this link: tlc.com/winareading and follow the online instructions to register by entering all information requested on the registration form. Prizes: One lucky grand prize winner will win a trip for him/herself and one (1) guest to New York City. Trip Includes: round-trip coach class airfare, hotel accommodations and a reading for one (1) with Theresa Caputo. Total ARV of grand prize is:$3,175. When To Enter: This sweepstakes entry begins at 9:00 a.m. Eastern Time (“ET”) on December 01, 2018, and ends at 5:00 p.m. ET on December 31, 2018. Who’s Sponsor: The Sponsor of this Sweepstakes is Discovery Communications, LLC, One Discovery Place, Silver Spring, Maryland 20910.